Though he has written more than 125 publications, Florida-based counselor and educator Jeffrey T. Guterman says he is perhaps most looking forward to the debut of his newest book, the second edition of Mastering the Art of Solution-Focused Counseling, which was published by the American Counseling Association in June. So much has changed within the counseling profession and the world in general since the release of the first edition in 2006 that Guterman, a member of the ACA, notes it is almost as though he has written a completely new book. 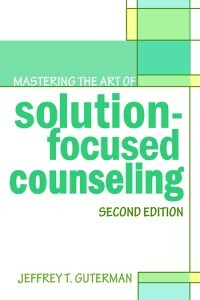 Click here to purchase Mastering the Art of Solution-Focused Counseling from the ACA website. What inspired you to write the second edition of Mastering the Art of Solution-Focused Counseling? Why did you decide to write it? It wasn’t long after the first edition of Mastering the Art of Solution-Focused Counseling was released in 2006 when students, counselors, colleagues and readers began to approach me and ask when I was going to write a second edition. So much has changed for solution-focused counseling, the field of counseling in general and the world that by 2011, I figured it was time. In those five short years, there was a sudden, rapid increase in the rate of change going on in the world. It’s not merely change, but it is change of change. This accelerating, exponential change is occurring in various domains, including socially, culturally, politically and technologically, and it’s happening in our field, too. I discuss this in the final chapter of the book, “The Future of Solution-Focused Counseling.” I consider how the future might look specifically in relation to the solution-focused model. The final chapter also speculates about how rapid social and technological change may impact individuals and society, and the implications for counseling in general and solution-focused counseling in particular. What are some of the differences between the first and second editions? The second edition is basically a new book. It’s twice as many pages as the first edition, but the changes are also qualitative. The entire book is significantly updated. There are additional chapters and sections on new clinical applications, including anxiety, eating disorders, psychotic disorders, migraine headaches, spiritual and religious problems, self-injurious behavior and suicide. The most current developments in theory, research and practice are also provided. Additional features of the second edition include sample forms, supplementary materials and numerous excerpts from actual counseling sessions that illustrate the model. How did you first get involved with solution-focused counseling? After I received my master’s degree in counseling in 1985, I resonated with Albert Ellis’s rational emotive behavior therapy (REBT). 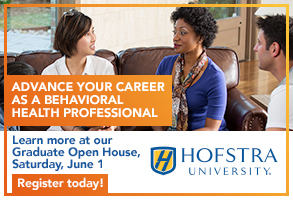 As a master’s level counselor, I became proficient at REBT. I received personal counseling from Albert Ellis, who was my first mentor, and this was invaluable to me both on a personal level and in terms of helping me learn firsthand how to do REBT. Ellis also provided me supervision and training in my early days as a counselor. By the late 1980s, however, I sought new ways of conceptualizing problems and helping clients change. Solution-focused work is process-oriented and tends not to impose the content to be changed. Some clients, though, want some formal content, a counseling theory to make sense of their problem. The same goes for counselors, especially beginning counselors. It can be unsettling for some counselors to work from an almost purely process model that does not articulate the “what” to be changed beyond solution-focused counseling’s problem/exception ascription. Getting back to my first mentor, by the mid-1990s, my relationship with Albert Ellis became collegial. Starting in 1996 and through 2000, I had the privilege to dialogue about postmodernism with Ellis and other leaders in counseling, such as Michael D’Andrea, Earl J. Ginter, Allen E. Ivey, Don C. Locke and Sandra A. Rigazio-DiGilio. These dialogues took place in print and at workshops held at some of ACA’s annual conferences. At that time, I had pretty much developed solution-focused counseling. It has now been 13 years since that dialogue ended and a lot has changed. I’ve written many articles, presented numerous workshops on solution-focused counseling and now the second edition of Mastering the Art of Solution-Focused Counseling has been released. What are some of the main issues or topics in the counseling profession that relate to this book? The book sets forth a model that serves to crystallize counseling’s unique professional identity. Namely, an emphasis on the client-counselor relationship; multiculturalism and diversity; a strength-based, wellness and developmental perspective; and a strategic approach to eclecticism. Who do you feel is the best audience for the book? 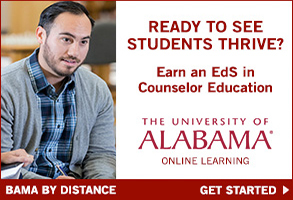 Counselors, counselor educators and counseling students of virtually all settings and specialties will benefit from Mastering the Art of Solution-Focused Counseling. The book is also well suited for mental health professionals in related disciplines, including psychologists, social workers, marriage and family therapists and psychiatrists. Helpers from other professions will also benefit from the book, including nurses, probation officers and life coaches. Were there any surprises as you were writing this edition of Mastering the Art of Solution-Focused Counseling? There were a few. I was aware of the increasing research being done in various fields for solution-focused work. But when I took a closer look, I was surprised at the sheer number of studies. Also, there have been so many solution-focused, evidence-based research studies for specific clinical problems and populations. I was also astonished by the amount of literature on various clinical applications. Solution-focused approaches have now been applied to almost every problem, population and setting you can think of. Why should counselors feel compelled to read this book? This book provides a comprehensive explication of solution-focused counseling, including the theory, clinical stages, assessment and intervention aspects of the model. A wide range of clinical applications are covered. In addition, the most current research developments for solution-focused counseling are described throughout the text, which serves to help readers connect those studies to both theory building and advances in practice. 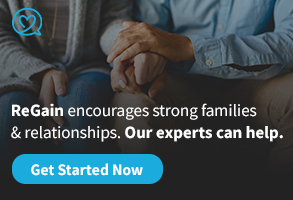 Most important, solution-focused counseling is an effective and efficient counseling model aimed at helping clients experiencing a wide range of problems in various settings. 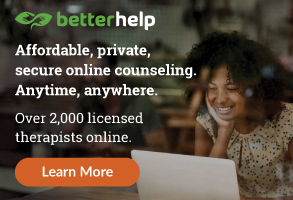 I should note, however, that in contrast to the pioneering SFBT model developed by de Shazer and Berg, which includes the word brief in its name, solution-focused counseling does not. Solution-focused counseling is often brief, but not always. The omission of the word brief is intentional because I think calling a model brief is arbitrary. As I see it, sometimes solution-focused counseling is brief and sometimes it is longer term. When it is brief, I understand the brevity as a logical consequence of the model’s conceptualization rather than an end in itself. The brevity is a result of how problems and change are conceptualized. In solution-focused counseling, we are encouraged to view clients from a wellness perspective rather than in terms of pathology. I think it makes sense, then, that goals tend to be smaller in scope than traditional, problem-focused approaches. I hope counselors take away the ability to incorporate both the principles and techniques of the model in their everyday practices so they can give back to their clients a strength-based, solution-focused perspective. My goal for the book has always been to address the sometimes-complex, theoretical underpinnings that inform solution-focused counseling and its many practical strategies in a simple manner so it is accessible to all counselors who wish to incorporate this approach in their work. I’ve been using Solution-focused strategies since entering private practice. Part of the reason for my use of this modality is due to the reality of limited third-party funding. Many of my clients come in with $500 coverage. This forces me to be solution-focused in my work, defining the problem and arriving at solutions within 3, 4, or 5 sessions. It’s a highly-effective modality. I’m interested in this book because I think counsellors, particularly psychologists doing psychotherapy, are using solution-focused methods more often than they think. i would love to get hold of this book. 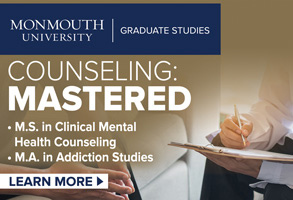 i have currently completed my university study in counseling and i feel this would be of much help to my practice as an intern.